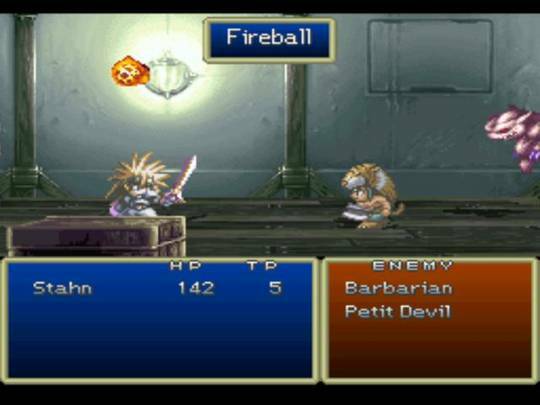 OverviewTales of Destiny is the second entry in the Tales of series of Action RPGs. 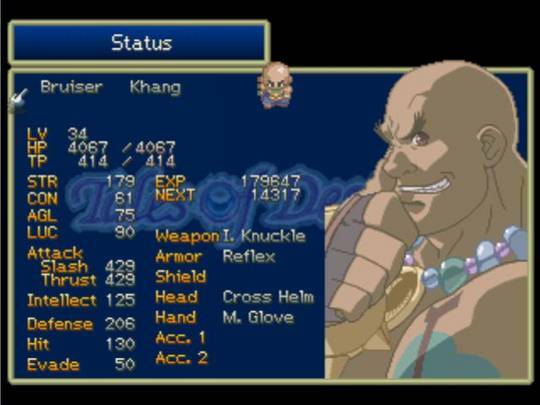 It was developed by Wolf Team and published by Namco. 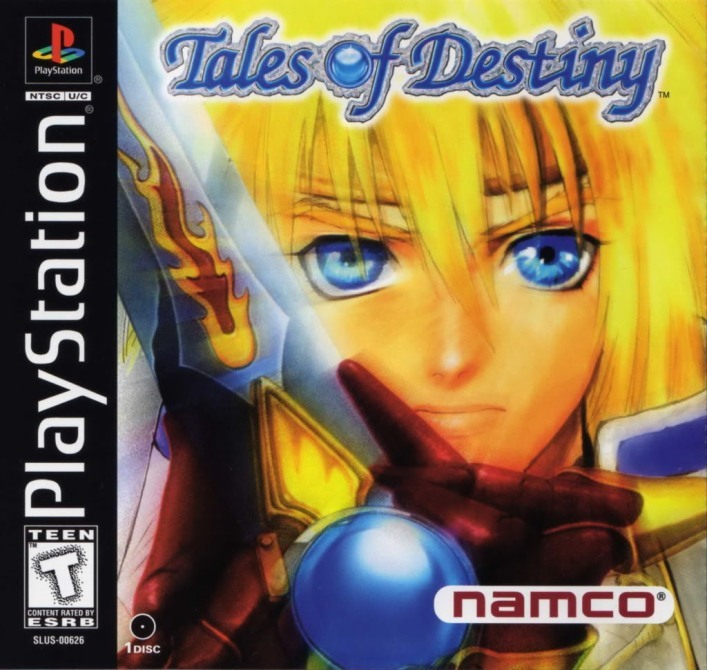 Tales of Destiny is a video game in the RPG genre published for the PlayStation console by Namco on December 23, 1997 in Japan, selling 1,139,000 copies. 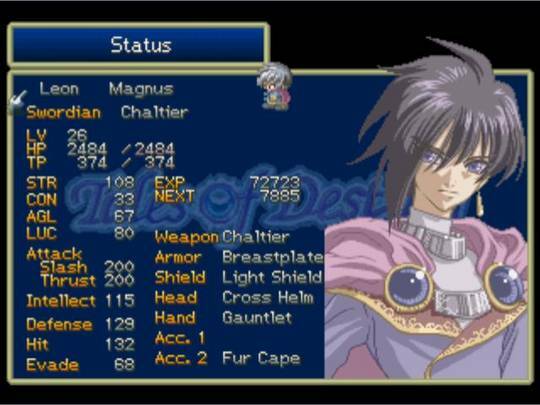 Tales of Destiny's characteristic genre name is 'RPG of Destiny'. 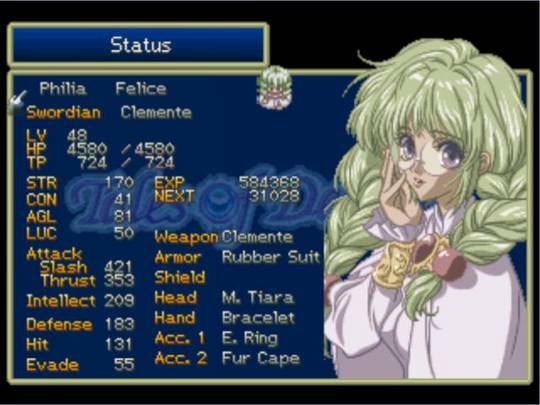 Both the Japanese and North American versions of the game have an introductory video animated by the renowned studio Production I.G, and the Japanese version has a song accompanying the video called Yume de Aruyouni by Deen. 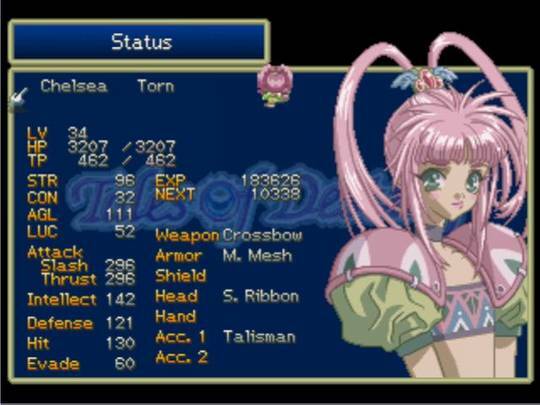 It is similar to its predecessor, Tales of Phantasia, in terms of gameplay, graphics, and content. 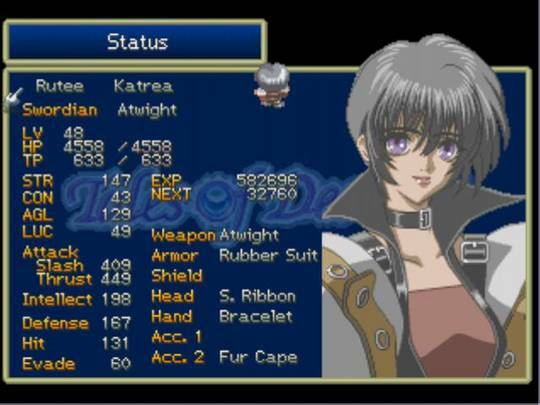 Tales of Destiny is the second mothership title in the Tales series. In the past, a comet crashed into the world, throwing dust clouds into the sky and shrouding the world in cold and darkness. At about the same time, the inhabitants, the Aethers, discovered a new form of energy from the meteorite's core, which they named Lens. Combining this with further research, the people were able to create cities in the sky and live in them. Unfortunately, only a select few were chosen, leaving the rest of the people to remain on the bleak surface of the planet. These people became known as the Erthers. Over time, the sky's inhabitants became known as the Aetherians and their Aeropolis cities. They created a horrific weapon called the Belcrant that shot down any who dared oppose them. This caused full scale war to erupt between the two civilizations, now known as the Aeth'er Wars. However, regardless of their will and persistence, the Aetherians continued to have the power to dominate every engagement through the use of their superweapon. In their disgust of their civilization's elitist behavior, a group of Aetherian scientists went to the surface. There, with aid from the people, they were able to create special swords, called Swordians, that were sentient. Unlike other weapons, these swords chose their masters and were able to call upon the elements of nature to do their will. Using these weapons, the people of the surface finally had an edge against the Aetherians. Thanks in part to the Swordians and their masters, scores of Aeropolis were sunk to the depths of the ocean. In the end, the Erthers claimed victory over the Aetherians. Thousands of years later, this story has been mostly forgotten. In the meantime, the purposeless Swordians fell into a deep stasis sleep, only to awaken when grave threats rose once again. 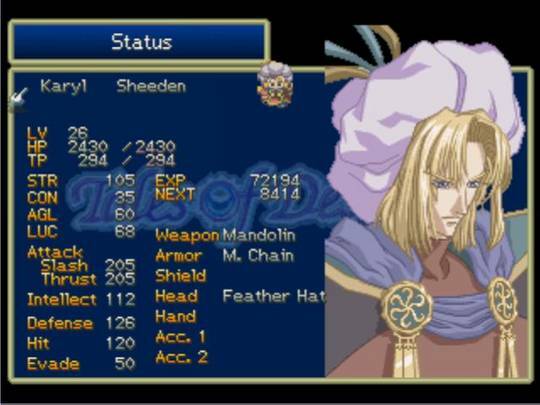 The story of the game begins when country-boy-turned-adventurer Stahn Aileron, who seeks fame and adventure, sneaks aboard the flying ship Draconis as a stowaway. He is found out by the crew and forced to work as a deckhand, but when a large hostile force attacks the ship, the crew is overwhelmed and Stahn breaks free during the ensuing chaos. 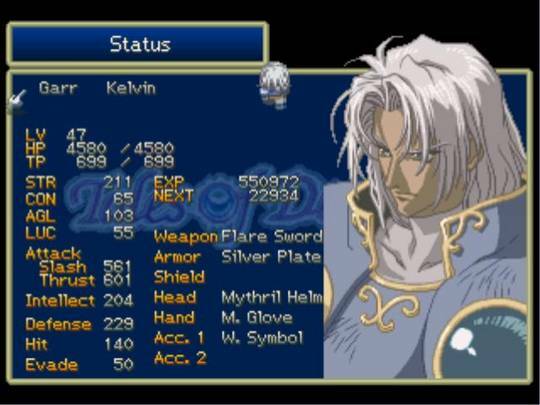 Looking for a usable weapon to fend off the attackers, he gains access to a storeroom and discovers a "junk" sword. However, the sword starts talking to him, calling itself Dymlos and claiming to be a sentient Swordian from the Aeth'er Wars. Armed with Dymlos, Stahn fights his way to an escape pod, which he uses to escape the rapidly descending ship before it crashes into the ground. Dymlos becomes the key to the fame, fortune, and adventure Stahn seeks as the young man meets other Swordians, quickly becoming embroiled in a battle for a relic of the Aeth'er Wars: a huge, extremely powerful Lens called the Eye of Atamoni. Now you can add videos, screenshots, or other images (cover scans, disc scans, etc.) 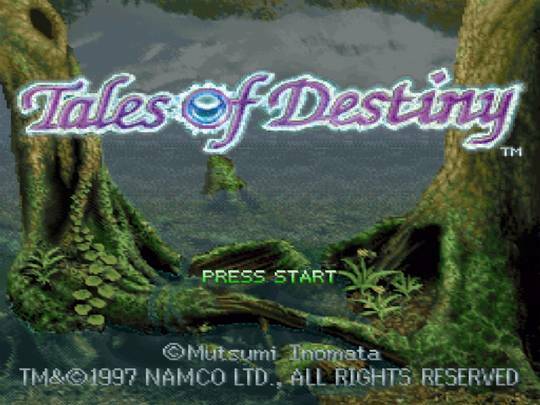 for Tales of Destiny [U] to Emuparadise. Do it now!